A belated Valentine greeting from Carla Stewart! Hope that this month of sharing love has been good to you. I couldn't resist using this popular florist's slogan as the title for this post. As if this is a modern idea. Flowers have been significant in their message since Biblical times. Jesus said, "Consider the lilies of the field, how they grow; they toil not, neither do they spin; and yet I say unto you, that even Solomon in all his glory was not arrayed like one of these." Lilies mean beauty - glorious beauty. 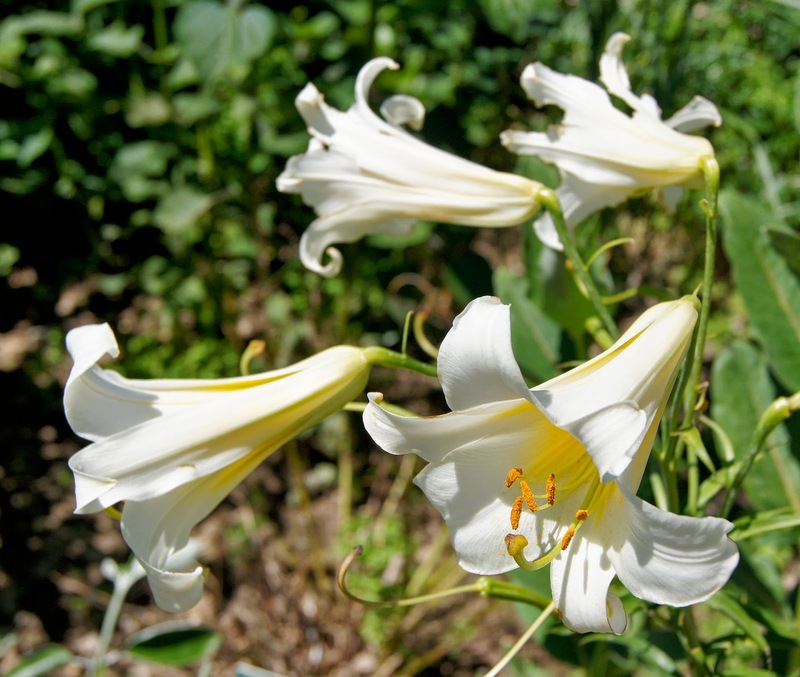 And as the white Madonna lily grew wild in northern Palestine, it's not by coincidence that its appearance each spring has become our traditional symbol of Easter. It's modern definition is majesty, a fitting image of the Resurrection. 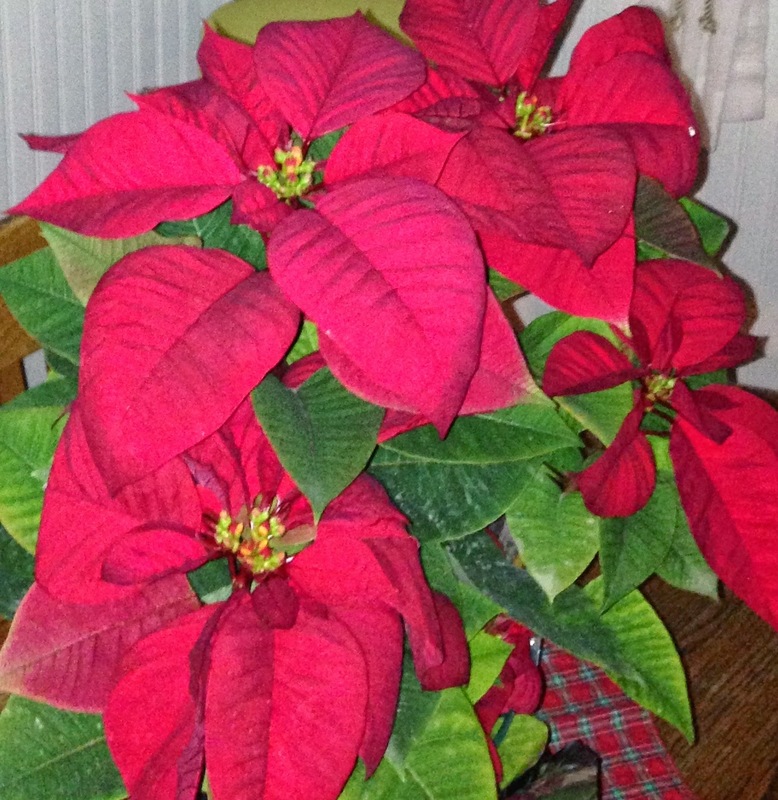 The Christmas season brings a preponderance of poinsettias. Their meaning? Be of good cheer. When I read this, I though of the angels appearing to the shepherds more than two thousand years ago with their greeting: "Behold, I bring good tidings of great joy. For unto you is born..." I'm not sure if angels carried poinsettias, but I love that today, we can still be of good cheer as we celebrate the birth of Christ. And of course, roses are the symbol of love. Jesus was called the Rose of Sharon, symbolic of his message of love. And each color of rose has its own meaning. White: innocence. Pink: grace. Yellow: friendship or infidelity (according to which reference you use). Coral: desire. Red: love. Dark Red or Crimson: mourning. Red and white together: Unity. No era was more attuned to the language of flowers than those who lived in England during Queen Victoria's rein (1837 to 1901). It was as important to people as being "well dressed." Flowers adorned almost everything - hair, clothing, jewelry, gowns, men's lapels, home decorations, including china, and stationery. The scent of a particular flower or a scented handkerchief sent it own unique message. Flowers played a prominent role in courtship as well. A young man could either please or displease a lady with his gift of flowers, not only the type of flowers, but also the size of the bouquet or what was in the grouping. 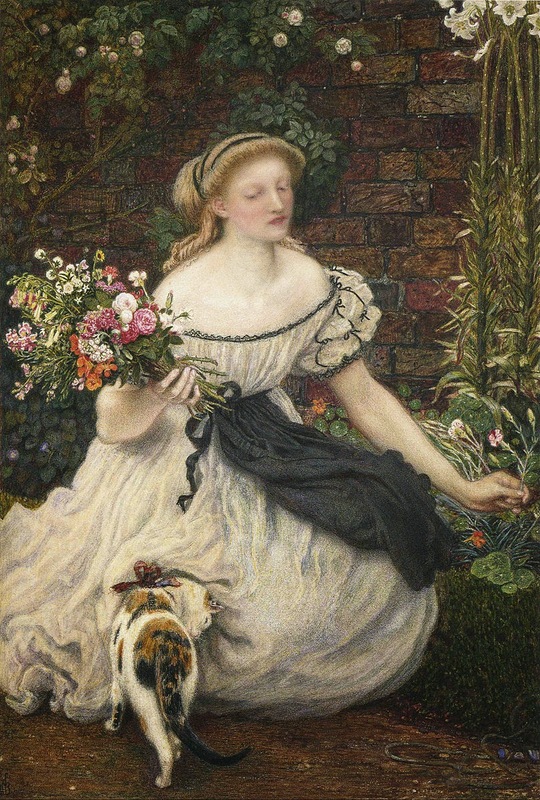 In this chaste age, flowers could convey meanings that weren't proper to be spoken. Even the hand with which the flowers were presented had a meaning. Offering a flower with the right hand meant "yes" - the left hand "no." With such emphasis on flowers and their meanings, dictionaries were written to explain it all, and they were particularly used by lovers. A quandary could develop if the two lovers consulted different dictionaries that might have different connotations which could give rise to the potential for a major misunderstanding! Getting accurate information could make or break a relationship. Bouquets, also called tussie-mussies, were quite popular in the Victorian era. The small bunch of flowers were wrapped in a lace doily and tied with ribbon. Sometimes they were presented in a decorative cone. To the Victorians, the contents of a tussie-mussie could be very telling. An arrangement with forget-me-nots, for example, suggested true love, while yellow roses symbolized friendship. Lilies stood for purity, snowdrops for hope, and yew for sorrow. Lemon balm and red poppies symbolized empathy and consolation, while ivy, lavender, and myrtle stood for loyalty and devotion. Tussie-mussies (also known as nosegays) weren't just for males to present. Women often exchanged such bouquets with their friends and loved ones, and the tradition of carrying a tussie-mussie at a wedding arose in the 1800s. Brides usually carried the ornamental bouquet in a silver or enameled cone. Antique cones sometimes sell for high sums in stores, and modern versions can also be found in home design stores, especially those which stock Victoriana. 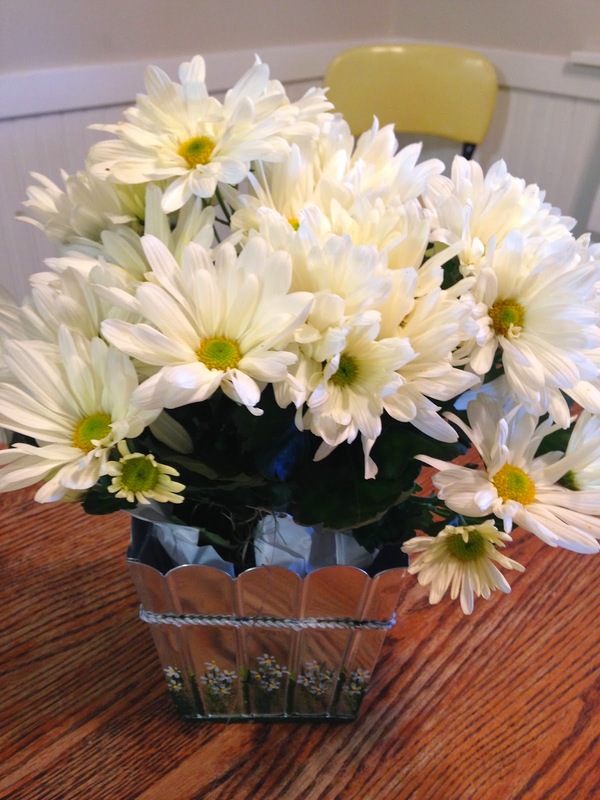 Even today, the gift of flowers can convey a sentiment that might be hard to express. 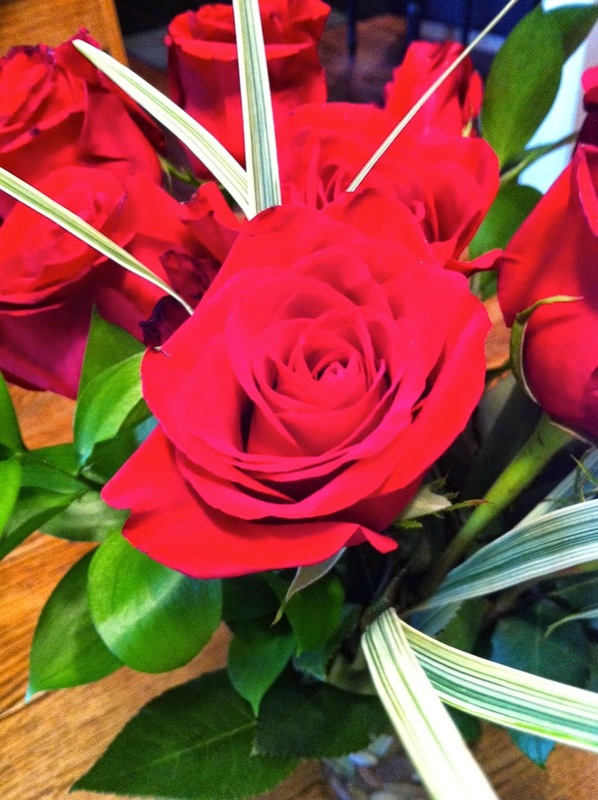 We send bouquets to the bereaved and husbands still send the message of love with long-stemmed red roses. But why not also send a cheery vase of posies that says "Congratulations!" or "I want to be your friend" or "You are special." And flowers make wonderful thank-you gifts. So the next time you want to make someone's day memorable, why not "Say it with flowers!" Vanessa Diffenbaugh's Flower Dictionary. In her lovely book The Language of Flowers, she ran into the same issues with different meanings as the Victorian times people did. In this dictionary, her goal was to create a usable, relevant dictionary for modern readers. What is your favorite flower? Does it have a story behind it. I'd love to hear your thoughts in the comments below! Carla Stewart is the award-winning author of five novels. With a passion for times gone by, it is her desire to take readers back to that warm, familiar place in their hearts called “home.” Her newest release is The Hatmaker's Heart. In New York City’s Jazz Age, a naïve, but talented young hat designer must weigh the cost of success when the rekindled love with her childhood sweetheart is lost and her integrity in the cutthroat fashion world is tested. HI Carla, I own that book and you inspired me to pull it off the shelf and read it again.I envy that you get your poinsettia's to bloom at Christmas. Last year mine bloomed at Easter! Thank you for starting my day on such a lovely note. Margaret - I almost started reading mine again, too. I did get it out to write this post, but only to use the dictionary in the back. Ha! on the poinsettias. I have two brown thumbs and kill most houseplants. This year I treated myself to the poinsettia - our local grocery story has a good floral dept with reasonable prices, and it has stayed nice for over two months. There must be a secret to how to get them to bloom on time. The flower symbolism associated with the daisy is purity, innocence, loyal love, beauty, patience and simplicity. Really enjoyed this post. Gerbera daisies are among my favorites, too. They always see to reach out to me at the home center, but they don't do well in the long, hot Tulsa summers. How fun that you looked up their meaning! Thanks for your sweet words - I think the book would be great on audio. May try that on my next road trip. Interesting post, Carla. I don't think I've ever heard of tussie-mussies before. I love Gerbera daisies too, especially the yellow ones. I'm hoping my bulbs survive the up and down temperatures we've been having. Hey, Vickie! Tussie-mussies are fun, aren't they? You should be on the lookout for the cones for your antique store booth. Looks like everyone loves Gerbera daisies! Such friendly happy flowers. Your bulbs should be fine. I always have narcissus that pop up right after Christmas and nearly every winter, the tips get frostbite, but they go ahead and bloom when the days get warmer. What bulbs do you have planted? My favorite flowers are lilacs. And we cannot grow them in the part of Texas where we live ... too hot. However, when we lived in the Southern Rockies for 17 years, we were in an area where they were prolific. I enjoyed them so much as they bloomed profusely every spring. Hi Golden! Lilacs are among my favorites, too. We had them when I was growing up on the High Plains of Texas, and they became the metaphor for the mom in my debut novel - Chasing Lilacs. They have such a heavenly smell - so sorry the part of Texas where you live is too hot. And thanks so much for joining in the conversation!